STW, a premier provider for mobile automation, connectivity and electrification solutions, launches a powerful addition to its digitalization portfolio – the TCG-4 Data and Connectivity Platform. NORCROSS, Ga. - Feb. 22, 2019 - PRLog -- STW, a premier provider for mobile automation, connectivity and electrification solutions, launches a powerful addition to its digitalization portfolio – the TCG-4 Data and Connectivity Platform. The TCG-4 is the latest and most powerful member of the TCG product family of on-board modules from STW. This new digitalization platform offers multiple communication interfaces and a powerful processor that makes new and innovative business models possible. Interfaces include 4G mobile communication technology (with 2G / 3G fallback), WiFi and Bluetooth. The integrated receiver for global navigation satellite systems (GNSS) allows accurate positioning of the machines. All data can be exchanged with authorized users and cloud services at any time. With versatile interfaces and protocols, the TCG-4 manages the communication within the machine, among machines (M2M), smart devices and of course to the internet and cloud services. This makes the TCG-4 a highly adaptable platform for IoT (Internet of Things) solutions. The TCG-4 provides full remote access to your machine for data access and analytics. The powerful ARM processor, DDR3 memory and extensive data storage facilitate data pre-processing on the machine (edge computing) even before exchanging data with cloud services. This allows an IoT solution to accomplish its tasks with economical usage of cellular data plans. The TCG-4 is particularly designed to operate under rough environmental conditions like vibration, temperature, etc., as they are common in off-highway working machinery. The TCG-4 is freely programmable. The operating system Linux and its wide ranging development ecosystem combined with extensive programming libraries make it fast and easy to develop applications independently and tailor-made for the specific use case. By providing up to 4 CAN buses, Serial, Ethernet, BroadR-Reach and analog (U/I) inputs, the TCG-4 is also well prepared for all sorts of on-machine communication. The proven compatibility concept within the TCG product family means investment security, while continuously making the latest technologies available. 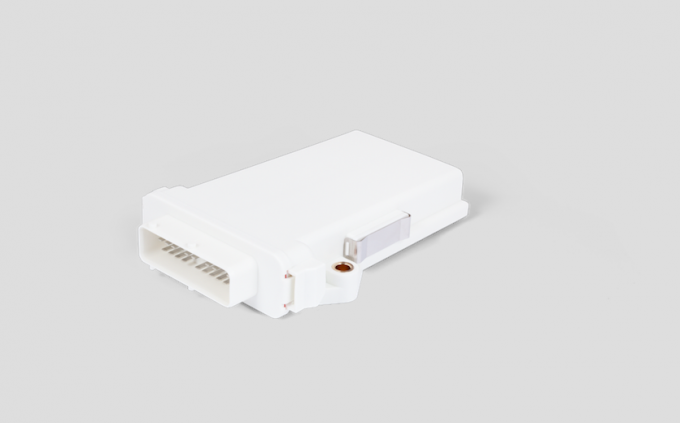 The TCG-4 offers the same practical form factor and a pin-compatible connector as the other modules of the TCG product family. The additional features, the sophisticated and proven software libraries, including a seamless connection to the cloud, complete the product.